Saturday night I ventured into the heart of the best city in the world for the Sydney Writers’ Festival, which was set to the backdrop of the festival of lights – Vivid. It was a fantastic night that all started with a forty-five minute walk, and what a walk it was! Streets were closed from the middle of the city all the way to Circular Quay and around The Rocks, and I can’t explain how much I enjoyed walking down the middle of George Street, surrounded by so many but revelling in the solitary exploration of my home town lit up like magic. Those forty-five minutes, free to walk and explore and indulge on my lonesome was food for the soul. I’m not sure how many writers’ festivals have a light, music and ideas festival running concurrently, but more need to. The Sydney foreshore, which is always beautiful, was transformed into a city of the fantastique. 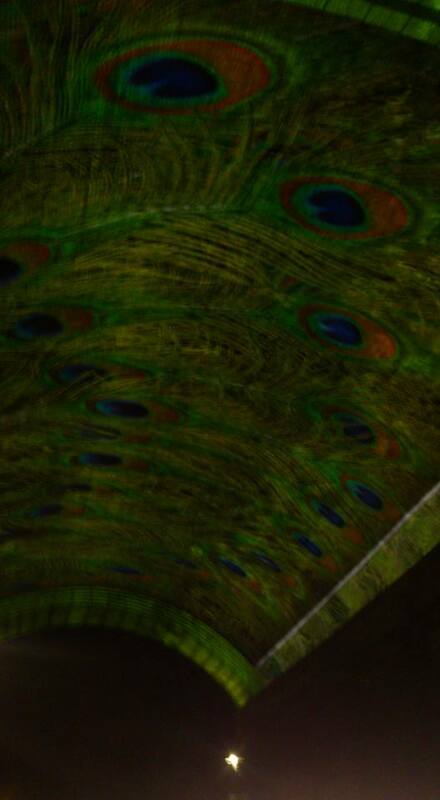 There were so many things that drew my attention… and probably why I made it to the auditorium by the skin of my teeth. I was in the audience for the ‘5 x 15’ – five speakers chat for 15 minutes a piece. No scripts allowed! It was an eclectic lineup, too. A cook, crime writer, investigative journalist, rapper/poet/novelist, and violinist. Something for everyone, I thought, but not everything for all. I’m happy to say I was wrong. We began with cook (and MasterChef winner) Adam Liaw. Now I’m not a cook, not by any stretch of the imagination, so I wasn’t quite sure how Adam’s words would apply to me, but… he was great! Sure, a lot of what he spoke about was food related, about breaking food down to its main elements and drawing from there. Pretty much like you do for fiction. Adam was engaging, amusing and more insightful than I imagined. Next up was US crime writer Michael Connelly. Aah, fiction writer! I admit I haven’t read any of Michael’s books, but that will soon be rectified. He told us about his first novels (ones that will never see the light of day, which is always great to have in common), but I was most impressed with the research he undertook that turned his “crappy” novels into best-sellers. It’s the little things that count, the nuances of character, the attention to detail (no matter how small), that make a story. It’s this kind of information that’s invaluable to a writer, and I thank him for it. Then came Kate McClymont. I’ve read a lot of her investigative pieces, especially with regard to the political shenanigans of our government – she’s very, very good, but I had no idea how funny she was. I’m sure she ran over time, but it didn’t matter. She had the auditorium in fits of laughter and entertained like a true show-woman. She was definitely going to be a hard act to follow. Enter Omar Musa. Another Australian novelist/poet/rapper not on my radar. Now Omar had cheat cards, of which he readily confessed (but rarely looked at). Against the rules? Maybe. Did any of us care? Nah-ah. 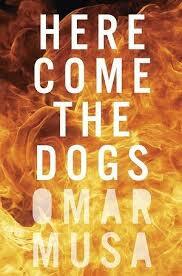 Omar is a finalist for the Miles Franklin Award for his novel Here Come The Dogs, and what he gave us was amazing. Part poetry slam, part biography, it was a feast of rhythm and verse and lyrical beauty told with an honesty that had me buy his book (and have it signed – he’s humble and happily chatted to all who came to him). It was brilliant. Just brilliant. When the last speaker, concert violinist Richard Tognetti took the stage, he told us his 12-year-old son told him he’d better be funny as the previous speakers were amazing. Pressure much? Richard is one of the top violinists in Australia, and boy can he talk a million miles a minute! Nerves were definitely there, and at times, so fast did he speak it was difficult to keep track of where he was taking us. He had with him an extremely rare violin that was hundreds of years old – the history behind it (rapid though it was), was interesting, but when he put that instrument to his chin and played for us all… magic. He was transposed from this almost manic dialogue into a virtuoso of calm and beauty as he seemed to romance music from the violin. Such a fitting end to an incredible panel of speakers. A special shout-out to the always lovely and quick-witted Diana Jenkins who emceed the event – amazing job! After having my newly-purchased book signed by Omar Musa, it was off for drinks until there was only two of us left – me and my mate, Deb. We had a great (if not cold) stroll around the harbour foreshore, taking in the sights of Vivid, discussing the speakers and just generally laughing our arses off (as we tend to do when together). For those of you who haven’t attended The Sydney Writers’ Festival, you don’t know what you’re missing. It’s a week-long event, with days and nights chock-full of panels and discussions, book launches, culture and heritage… there really is something for everyone. If you’re a reader, it’s a chance to connect with favourite authors and discover new. For writers, who really do tend to be solitary creatures, it’s a place to revel in your passion, to talk about stories and the realness of your characters (without those strange looks you sometimes get from non-writerly peeps), and connect with those who love what they do as much as you do. For me? Well I got all of the above, and so much more. I’m inspired, determined and I learned – something a writer never stops doing. And I can’t wait to do it all again next year. Now get thee to a writers’ festival! Sounds absolutely wonderful. However, grumping a bit here — you got Vivid and the Sydney Writers’ Festival — I got a certain rural event earlier in the year… hmm, not quite the same. Oh, and yes, read Michael Connelly. This was absolutely brilliant. I got as much enjoyment from the Writers’ Festival as I did from Vivid. That alone-time of the walk really did reinvigorate me. Then listening to other writers and their processes and work… magic. Thanks, Fi! And you really should mark it in your calendar for next year — I can’t recommend it enough!